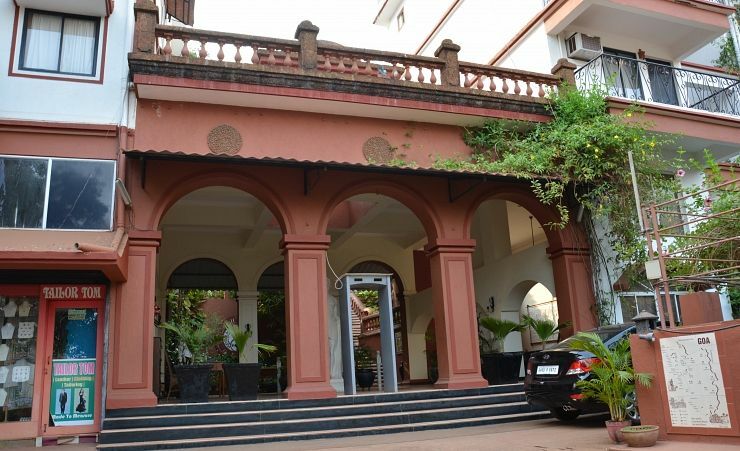 Situated amongst tropical trees just a stone's throw away from the Baga River and a short distance from the popular Baga beach, this luxurious hotel offers a peaceful location whilst still providing access to all the popular local amenities. Haggle for bargains, sample sumptuous street food or enjoy a fresh fruit cocktail at the famous Saturday Night Market in Arpora (at seasonal times), just a fifteen-minute walk away. 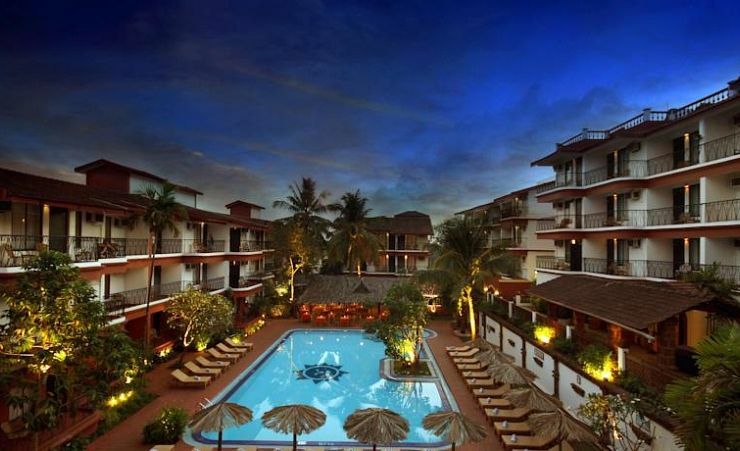 Alternatively, make use of the hotel's handy shuttle bus service (as per the resort's scheduled itinerary) and take to the sands of North Goa's liveliest and most popular beach, Baga Beach. This vibrant stretch of golden sand offers a plethora of restaurants, beach shacks and shops, as well as the opportunity to try your hand at a number of water sports. Spacious, air-conditioned guestrooms are finished with tiled floors, dark wood furnishings and pastel-coloured walls to create a cool, calming atmosphere, while each room is equipped with a separate bedroom and living area to give you more space in which to relax. Rooms also feature a fridge, LCD TV, telephone, tea & coffee making facilities, electronic safe locker, FREE high speed WiFi and a private balcony with views over the pool of the hotel's grounds. 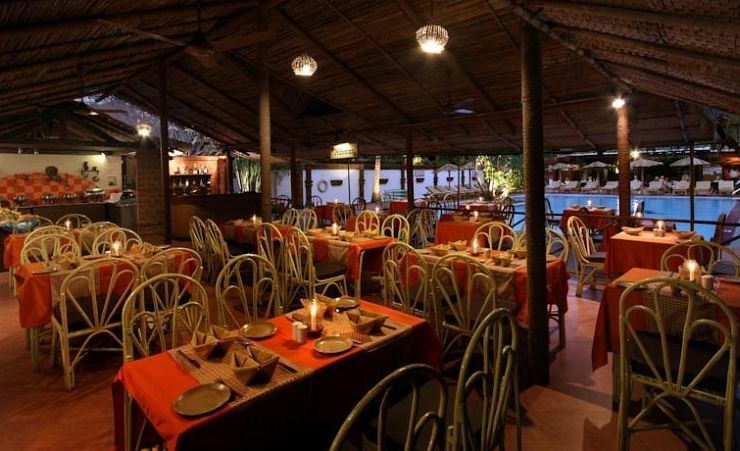 Pride Sun Village has a restaurant and two bars offering an eclectic choice of cuisines to please every guest. 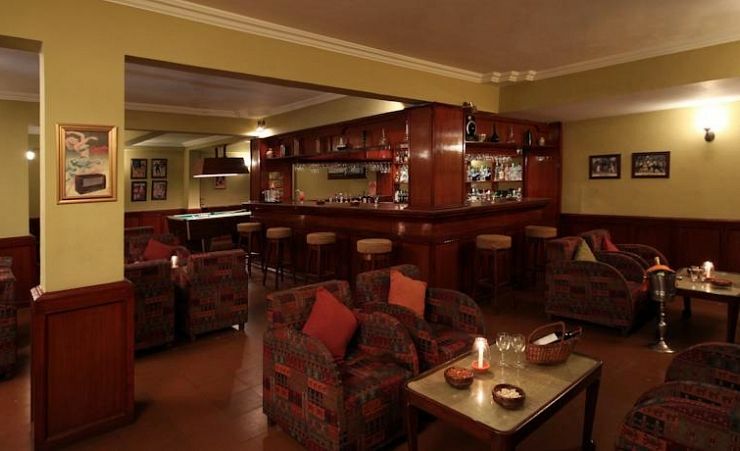 Sundowner is a relaxed lounge bar offering refreshing beers, cocktails and comfort food as well as a pool table and an amicable atmosphere. 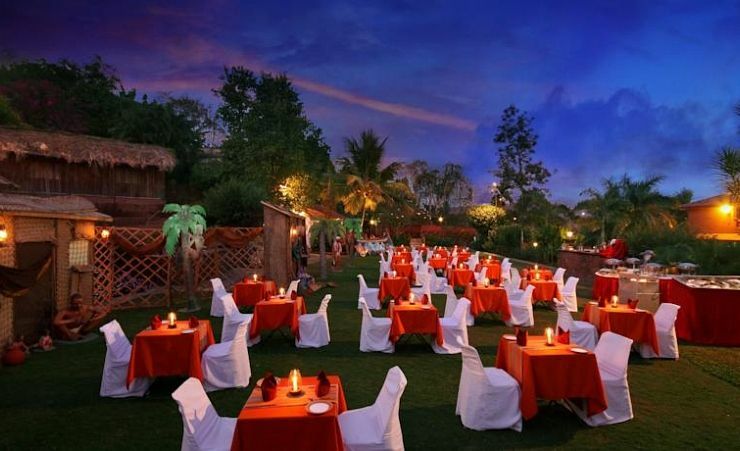 While Village Lounge offers outdoor drinks on the manicured lawns for Gala buffers and exciting theme evenings. 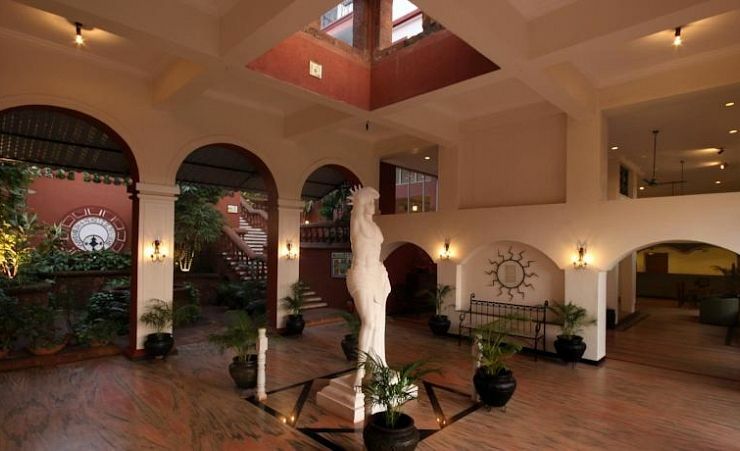 Intricate statues, airy lounges, archways and warm, natural tones give this hotel a Colonial-era quality, whilst the large relaxing swimming pool, beauty parlour and spa add to the feeling of being away from it all. 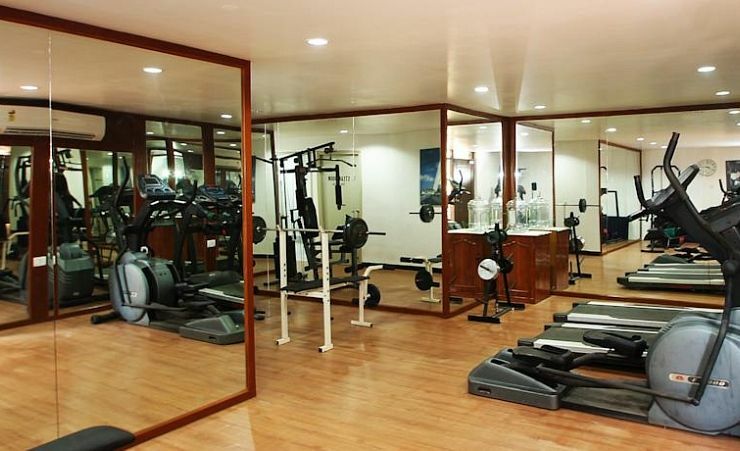 The hotel also offers a well-equipped gym and games room to keep more active guests entertained. Breakfast, lunch and dinner, afternoon tea/coffee and light bites/ snacks. 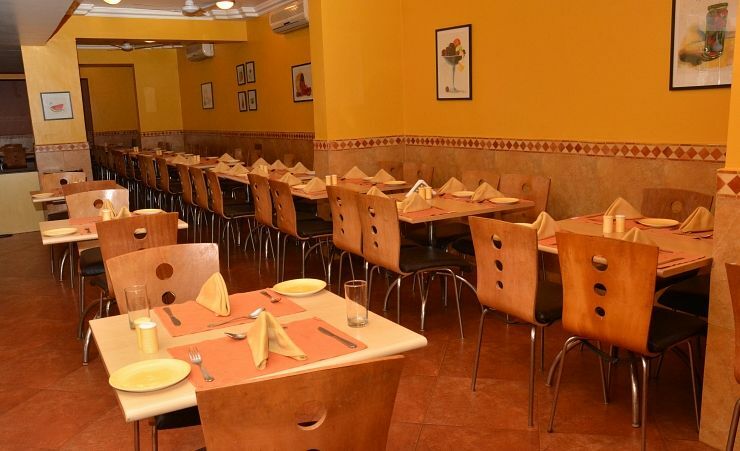 Unlimited local beer, wine, spirits and soft drinks plus a welcome soft drink on arrival. Time and measurement stipulations may apply. 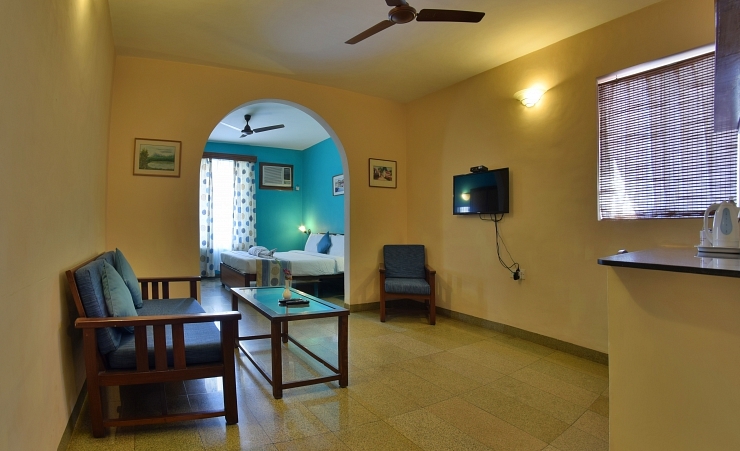 Find out more about your accommodation and the in room facilities at the Pride Sun Village . 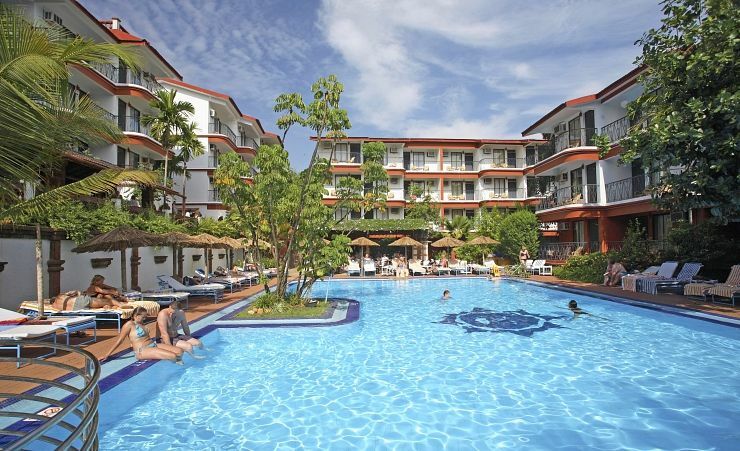 Upgrade FREE 3rd week to Half Board from £13pp daily or All-Inclusive from £20pp daily. 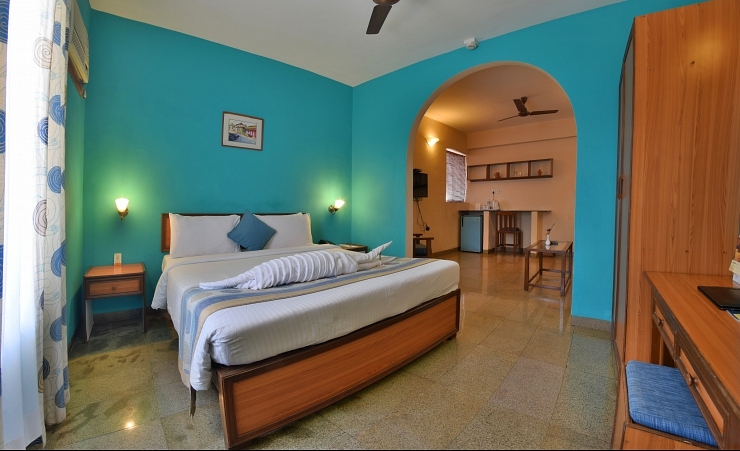 Helpful friendly staff, spacious room and wonderful food at an incredible price what more can you want,. a lovely mix of European and indian guests. staff brilliant. If you were a picky person there are probably things you might not be happy with. Personally I thought it was brilliant value for money. The only place I have ever been in the world where you get a great cup of tea!